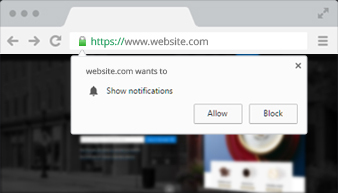 Web push notifications opens up a whole new and modern way to earn income through your website. In this two-part article, you will learn on how monetize and earn more with your website regardless of whether it’s an affiliate site, blog of any kind or even an ecommerce website. We will continue right where we left off at the end of the first part of these articles. As promised, we will take a close look at the key elements of successful web push notification campaigns so that you can get on your way and hit the ground running. Depending on the kind of site you run, it would be relatively and unequivocally easy to just assume that all of the following and previous tactics would be of little relevance to you since you don’t sell a specific product or service. If you are only going through the traditional channels of monetization like the ones we mentioned in first part of this article, you would be stuck in a loop. Since you don’t have anything to sell, you will quite likely find that your audience is still expecting something to be sold. Did you know that it is possible to take the best of both worlds? Indeed, using web push notifications as a DIRECT source of income for your website is possible. Since traditional ads can be spot from a mile away and a lot of users just simply turn a blind eye to them, we can take the newly found engagement rate of web push notifications and use it in combination with the advertising channel in order to take the best elements of one and combine them with the other. If you use our platform to monetize your website, you will quickly find out how easy it is to actually see revenue from your website and not only that, you will also get immediate reports on the kind of results that you are seeing. Remember that precious data we talked about? This is it right here. It’s actually relatively simple to find out where the money comes from. Basically, we send third party, high quality advertisements to your users through web push notifications, when they click (and click they will) you will see a lion’s share of what advertisers pay us, all done automatically. But What Kind of Brands Do You Represent? This is an excellent question. We have a very high standard when it comes to the kind of brands that we allow to advertise on our platform and therefore, your websites. The brands and companies that we work with are internationally known and offer excellent products and services that a lot of people are interested in. We are talking about the kinds of companies that Google has personal relationships with they are so highly regarded. We take our platform seriously and so do our advertisers. Will My Audience Want to Click? Another great question. If the advertisements that your audience see are catered specifically for the kind of interests, needs and wants that they have, you can be absolutely sure that they will be clicking on the ads. In order to get there, we have to take a look at a few key tactics. As we have mentioned before, web push notifications are not only a great way to generate money from your website, but also a fantastic way to get to know your audience. We offer analytics in order to gain deep insights into the mind of your audience, which will result in even more revenue in the future. Also, once your make your audience get only the messages that are most relevant to them, you will decrease their rate of opt-out since you are giving them highly relevant information in a consistent manner. This particular tactic is best used once you have a better understanding of who your audience are and the kinds of interests that they have in common. In essence, you are going to be segmenting your audience into smaller sub-audiences or segments thereof. Since you don’t give everyone the same treatment and therefore, not everyone gets the same ads, you will be happy to find out how appreciative and much more willing to engage the different segments are. If you use a universal approach to your entire audience, people will take notice and perhaps even go as far as to opt-out. Don’t let it get to that point. We have talked before about the power of personalization and we will continue to do so for one simple reason: it works. Assuming that you have taken the segmentation approach that we talked about in tactic #2, you will have a very good understanding of who the people in your audience are. Therefore, it is an excellent way of operating that you can -and should- give them offers that cater to their specific needs and wants. It really does not have to be too complicated. In fact, personalization is such a big deal, that the firm Leanplum found out that opening rates increased by as much as 800% if the messages that the users get are personalized and delivered to their specific interests. All of the personalization in the world will not be any good if you are not also sending them offers that they are actually interested in. If you are not targeting your audience, they will take notice with a “deny” once they get those web push notifications. This is where it becomes a great idea to put that data you gathered through the analytics to use! Please do keep in mind that every single one of your subscribers is an individual, therefore, if you use a blanket approach to show them your ads, they will show just as much enthusiasm for the offers that they see. It bears repeating that you will not be able to segment every single one of your customers and that is OK. Don’t worry about those who fall out of the circles, but about those who are likely to be within one and that haven’t been put there by you. At the end of the day, it just makes sense that you use a personalized, informed, segmented and smart approach in order to do business. Your subscribers will appreciate it, tell their friends and your numbers will grow exponentially. It’s win-win-win. Not all web push notifications have the same results and if you want to have the best results, you’ll have to stand out. The best way to do that is by using a pre-permission screen which lets your users get more info about what they are actually subscribing to. Pre-permission screens also prevent users from clicking on “Deny” which burns out your only chance at making them a subscriber. Web push notifications are great by themselves and excellent when used in conjunction with other technologies such as traditional email and the like. You have to make your approach personalized and segmented. Use analytics in order to stay up to date with what your users want and need from you. 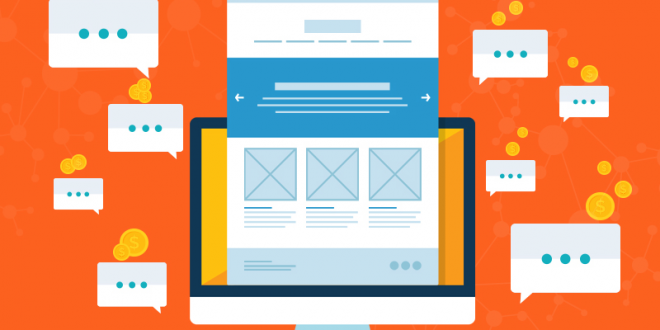 Your goal is to let the user see as highly-relevant ads as possible. Using web push notifications in combination with ads is an excellent way to make money and if that sounds interesting to you, please go ahead and sign up with us!